A few months ago, my hairstylist asked me if I was on Pinterest. I had never heard of the site, and though she raved like it was the greatest thing since the Brazilian Blowout, I couldn’t help but be skeptical. I didn’t need another Facebook-like site or tumblr knock off. Click here for the top 11 Pinterest people to follow. And once you’re done checking out these awesome pinners, head over to BeautyRiot’s Pinterest page. It’s even more of the great stuff you see on the site. 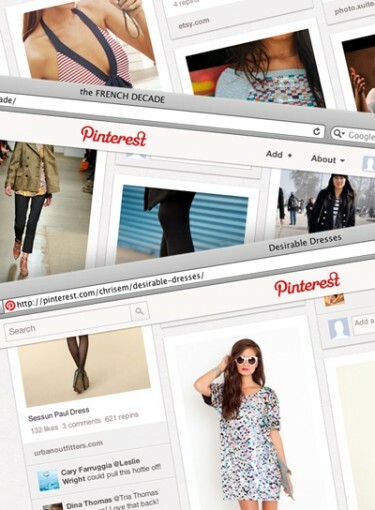 Then, tell us: Who do you follow on Pinterest for the best fashion, hair, and makeup ideas? Leave your answer in the comment section below. *If you’re not familiar with Pinterest, here’s a basic rundown: You have a page that has multiple boards, named for different topics, like beauty, fashion, hairstyles, etc. Imagine the boards like a corkboard above your desk. Any time you’re online and see a picture you like, you can click the “pin it” button and save it to one of your boards. You can also repin other people’s finds when you look on their boards. It’s super easy, a minor commitment, and a great way to organize your new obsessions.